*You can click on the images in this article to enlarge. We are having an issue with the latest Chrome upgrade and some users may be experiencing connectivity problems after their chrome has been updated to 42.0.2311.90. 2. 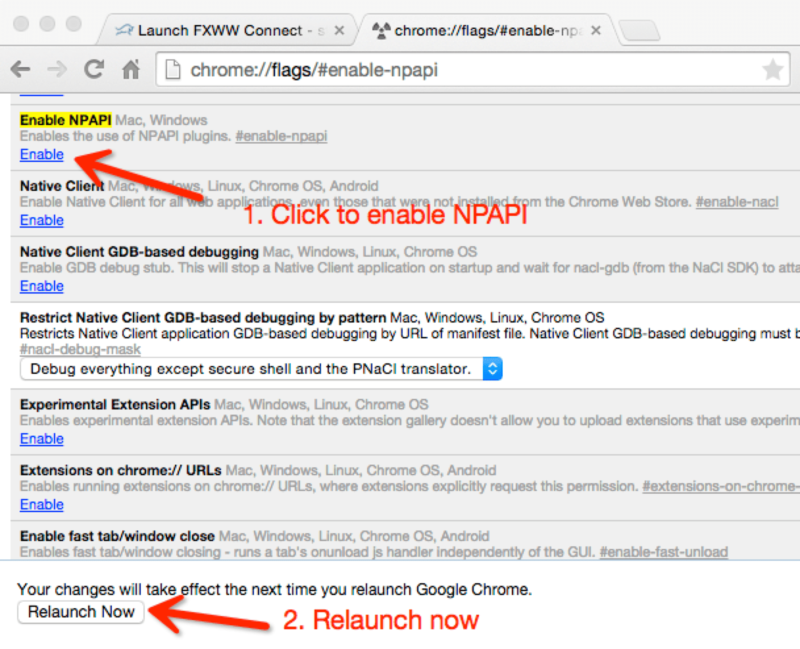 Activate NPAPI (see attached screenshot) and perform browser reboot afterwards. *In some rare cases it may be necessary to quit your browser and re-open it again if relaunching doesn’t fix the issue. 3. 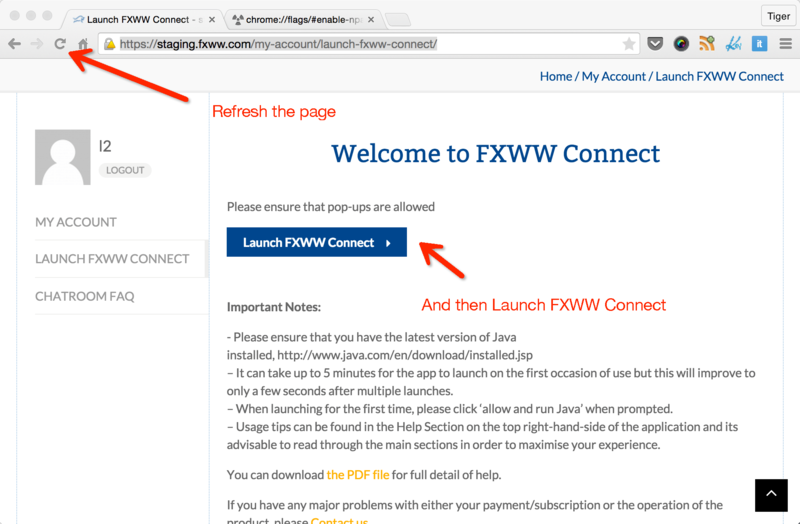 Go to your Launch FXWW Connect Page, and refresh the page. Click on Launch FXWW Connect button to launch the program. 4.It may take up to 2 minutes to launch the program on the first occasion. 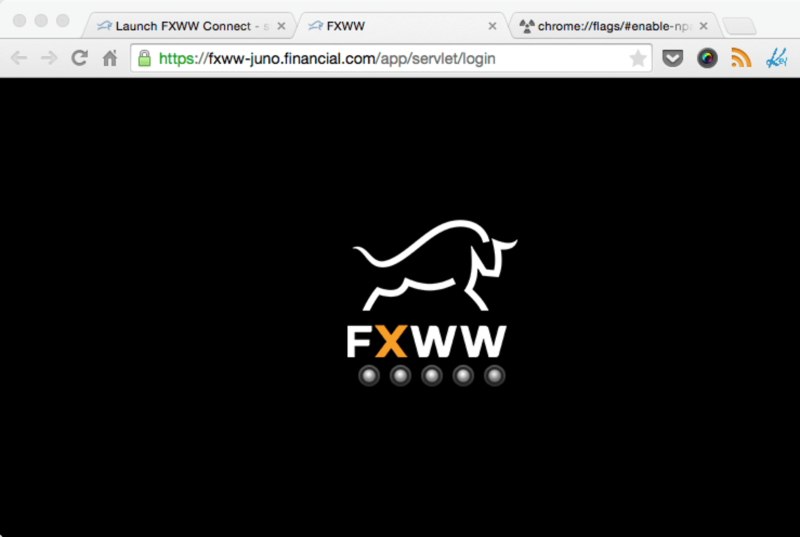 Whilst loading, you will see this FXWW logo. 5. Then you should be able to use FXWW Connect as normal. Internet Explorer, Safari or Firefox all support FXWW Connect. Please ensure you have installed the latest version of java. More details can be found via FXWW Connect FAQ. 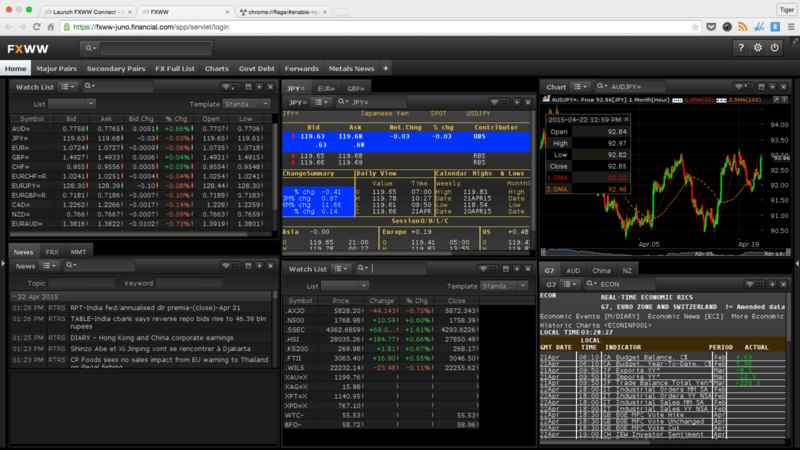 We are working on a permanent solution that ensures compatibility of the latest version of Chrome with FXWW Connect. Please feel free to contact us, we’ll get back to you asap.